For every $50, you can choose a level 1 product for Free, for every $100, you can choose a Level 2 product or 2 – Level 1 products for Free! Don’t delay, place your order now! Use this host code to place your online order if it’s under $150 and you’ll be entered in a drawing to win a FREE pack of Gingham Gala Adhesive-Backed Sequins! 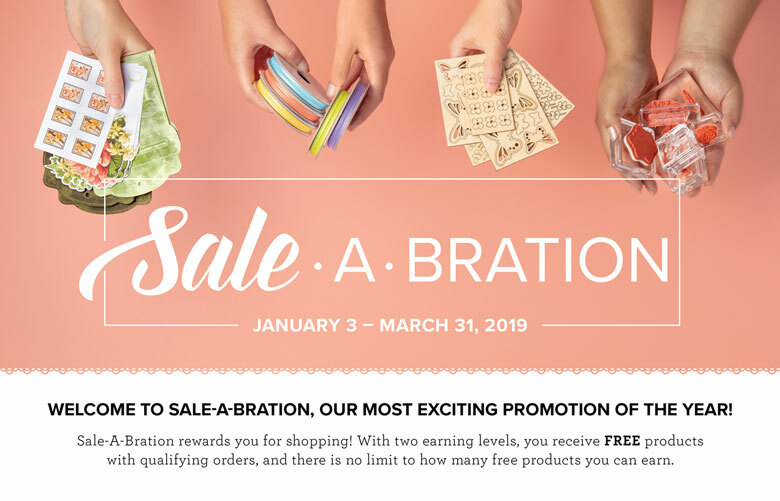 If your order is over $150 DO NOT use the code – you’ll get your own Stampin’ Rewards and I’ll still enter you in the drawing! 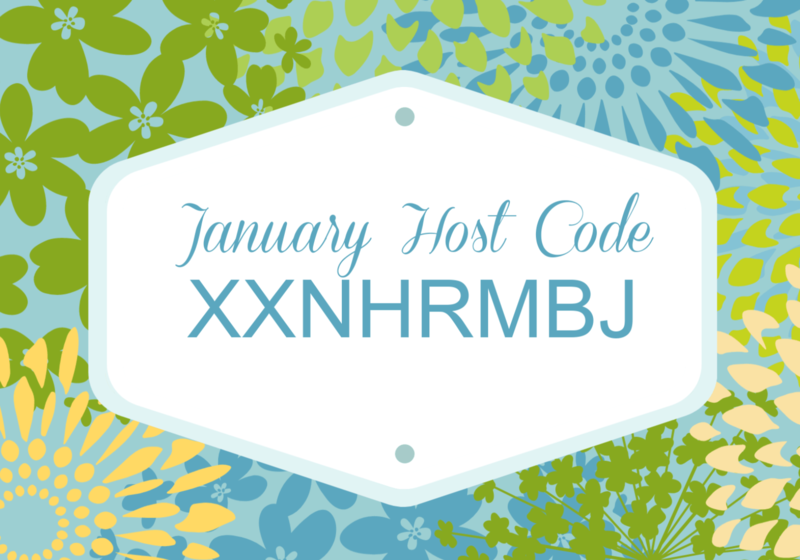 Just copy/paste this code: XXNHRMBJ when placing your order by January 31, 2019. Every order placed in January, over $30 will receive an emailed pdf file containing 10 exclusive detailed project sheets with photos. 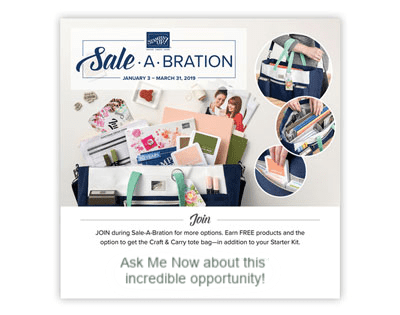 I’d love for you to be on my team! 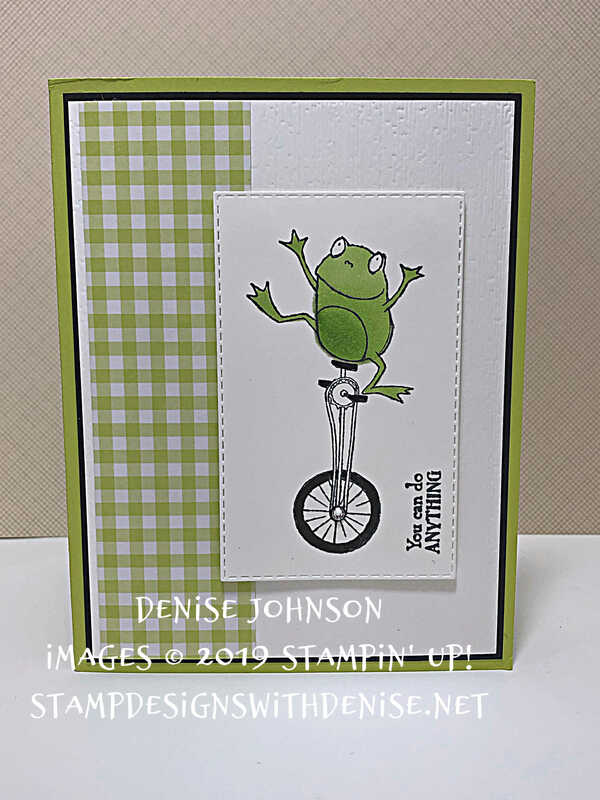 Did you know that right now, you can join Stampin’ Up! for only $99? You will receive $175 in merchandise of your choice, a Paper Pumpkin Kit and the starter kit ships FREE!! This is by far the best deal we have right now. Now you can also add a Craft & Carry Tote to your starter kit (joining is the only way to get this awesome one-of-a-kind Tote!) If you are interested, click HERE for more information or to sign up today! 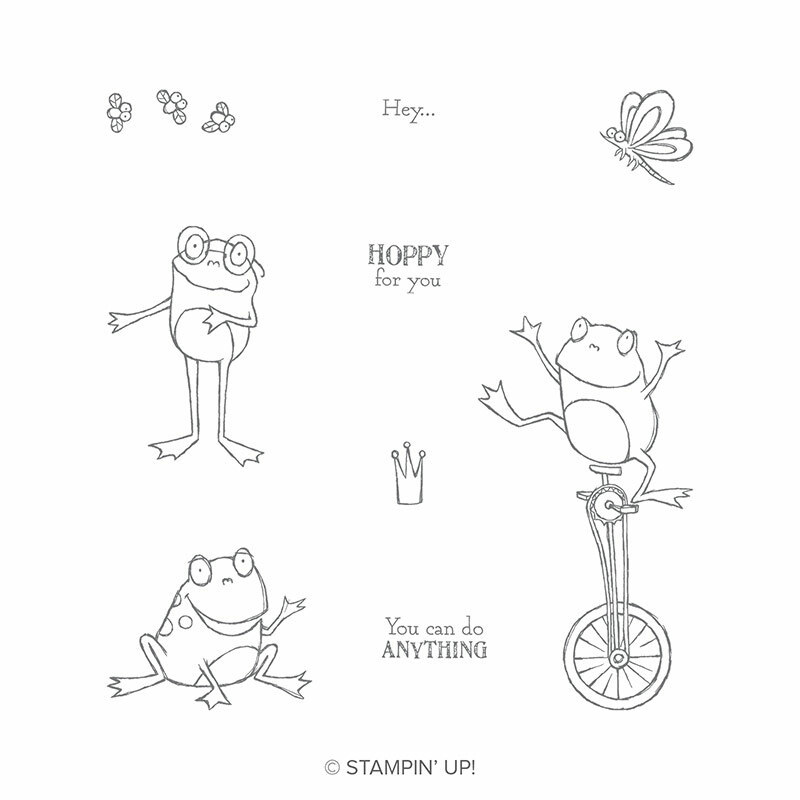 The So Hoppy stamp set is one of the incredible products being offered for Free during Sale-a-bration. Check out the 2 cards below using this set. These awesome cards are from a card swap I participated in! 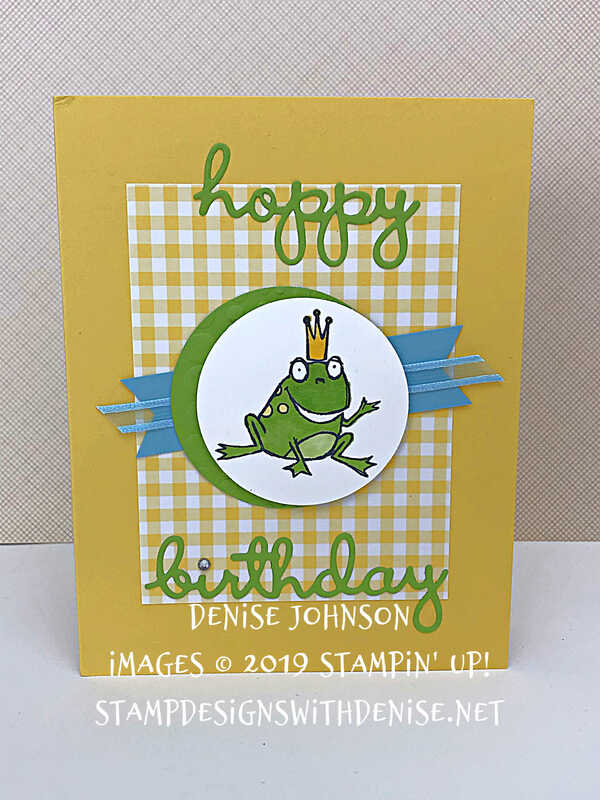 Judy Garza was the inspiration for the ‘hoppy birthday’ card. How fun are these little frogs? Won’t your family and friends be delighted when they receive a card like this in the mail? Contact me to place your order.